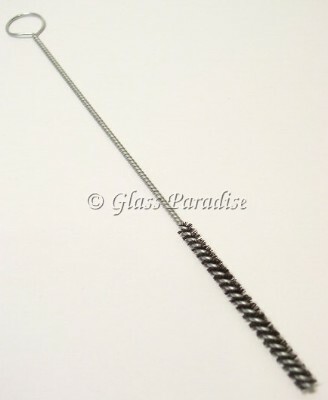 Cleaning brush for Glass Paradise drinking straws. Measures approx 6" long. Pyrex drinking straws are a unique "green" gift idea for any health enthusiast, or glass aficionado. Thank you for supporting a small business owned & operated by independent glassblowers.